A responsive website will react to, and display properly on any given device and screen size! Basically put, if the screen is too small to display the website full width, everything will stack up one on top of the other, pictures will re-size themselves, and you’ll notice the website menu will change its position and look and feel to become a mobile menu! 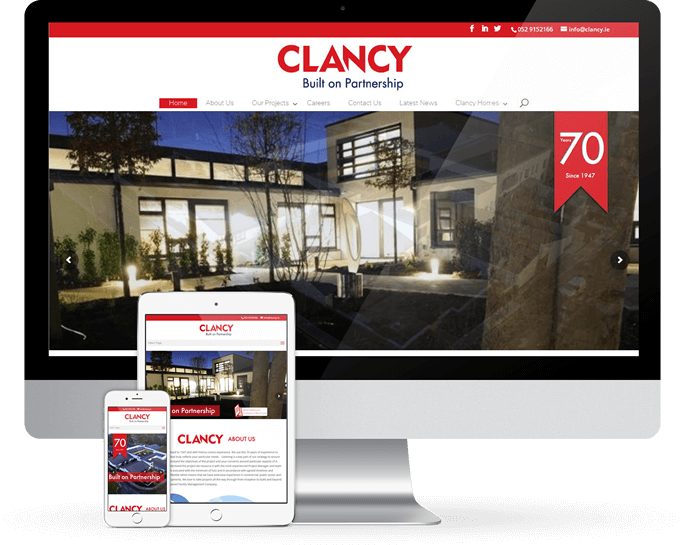 If you want a demonstration of responsive web design, look at our website on your PC, then your tablet, and then your phone. Rotate your mobile device and the site will react and change accordingly, always offering the very best display. OR, if you don’t have all those devices to hand, just grab the edge of your browser and re-size it manually whilst watching what happens to this website! No Company needs a website and a mobile website, we can incorporate both and make the functions work on any device. If you call, we’ll design a website that combine everything into one!